An understanding of the effects of globalisation goes beyond just describing what Globalisation is. It is also having awareness of the impact and issues created by Globalisation so as to provide a thoughtful and developed response to most questions. This discussion will concern the effect that one tool of globalisation, the WTO, has on various processes and nations. This case study will provide useful alternative perspectives that will help an essay stand out from other run-of-the-mill and overused examples. There are 10 reasons that can be used to further this contentious statement. Each of them should help expand one’s knowledge of Globalisation and provide good examples. We’ll discuss the key points for each and de-mystify the jargon. 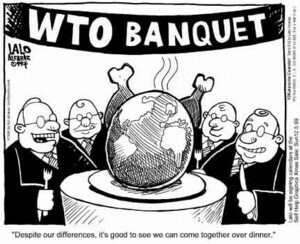 The WTO aims to achieve more . . .